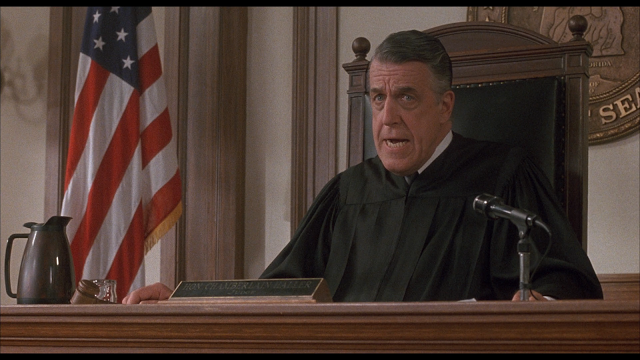 Judge Chamberlain Haller (My Cousin Vinny) probably wouldn’t stand for Bingham’s “tomfoolery” either. Great news! The OC Employment Attorney Blog’s own Tamara Freeze recently won a Motion to Compel discovery responses which also resulted in the trial court issuing monetary sanctions of $2,450 against defendant Bingham McCutchen LLP for its abuse of the discovery process (see the court’s order here). Plaintiff Hartwell Harris (who has maintained a highly-publicized wrongful termination lawsuit against Bingham McCutchen) served Bingham with discovery questions nearly two years ago seeking, among other things, witness names and contact information that Bingham has in its possession. After the Second District Court of Appeals denied Bingham’s motion to compel arbitration in a unanimous 3-0 decision, Bingham’s discovery responses came due again in August of this year. According to Harris’ attorney, Tamara Freeze, Bingham then delayed for over three months by insisting that they needed “more time” to gather facts and properly respond to those simple questions. However, after granting Bingham “extension after extension,” the firm only provided “a litany of garbage objections and evasive responses, none of which contained the information they were required to turn-over.” Giving statements to Law360 and the Recorder, Ms. Freeze noted that Bingham’s responses were the worst she had ever seen, as Bingham outright refused to identify any witnesses whatsoever and refused give a definite answer as to whether Ms. Harris’ job performance played any role in its decision to terminate her employment. Ms. Freeze then noted that Bingham’s fallback tactic was to “serve slightly altered amended responses after the Motion to Compel was already filed, and then claim that Plaintiff’s motion was rendered moot by those responses.” According to Ms. Freeze, Bingham’s “amended” responses were still nothing more than meritless objections and evasive answers. Unable to defend their responses on the merits, Bingham’s final plan of defense was to claim that Plaintiff “did not meet and confer in good faith.” The court, however, did not agree. Judge Recana then granted Ms. Freeze’s motion, thereby ordering Bingham to produce proper responses in addition to an award of monetary sanctions as a means to punish Bingham for its blatant gamesmanship and misconduct. Although Bingham has a history of calling the Wambulance when it comes to Judge Recana’s orders (see Bingham’s failed motion to compel arbitration now being peddled to the U.S. Supreme Court), it’s going to be very difficult to challenge the court’s latest ruling. ← How Much Pregnancy Leave Can I Take?